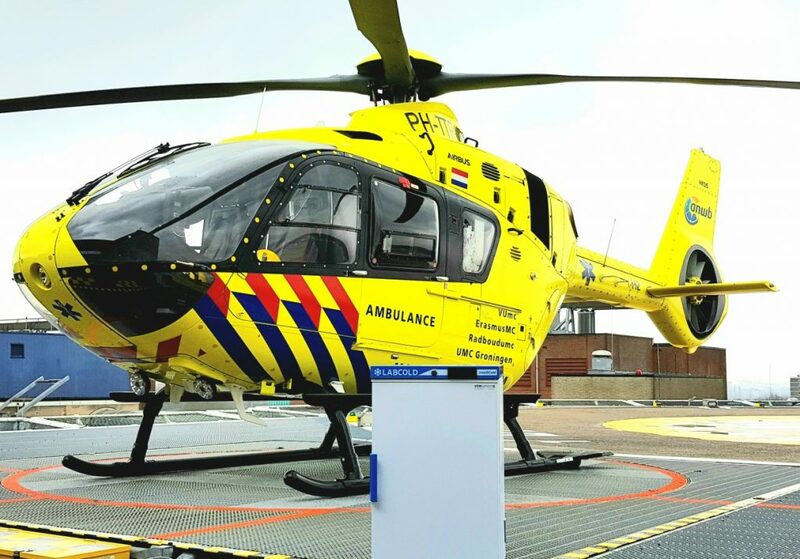 VDW CoolSystems Netherlands has delivered a Labcold medical refrigerator at the Amsterdam UMC location VUmc (academic Hospital) and managed to get a few pictures of it with the air ambulance. After this photo shoot, this refrigerator will be placed in the hangar of the air ambulance helicopter storing temperature sensitive pharmaceuticals for the medics on board. Big thanks to Leo at VDW CoolSystems for the pictures.